An interview with An Phan, a senior brand manager at Drew Estate who has been with the company since 2017. Phan manages the traditional brand portfolio with guidance and oversight by Jonathan Drew, founder and president of Drew Estate. 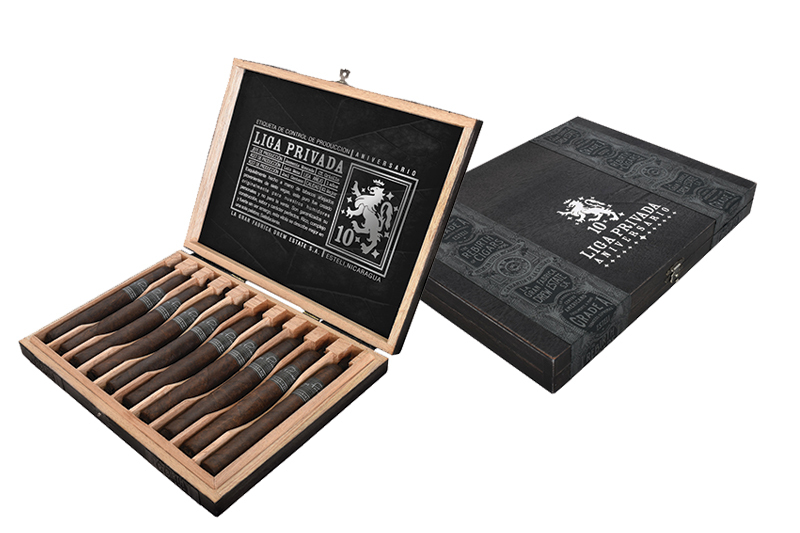 Drew Estate Acidfactures the premium cigar brands ACID, Undercrown, Liga Privada, Kentucky Fire Cured, Muwat and Herrera Esteli, among other brands. 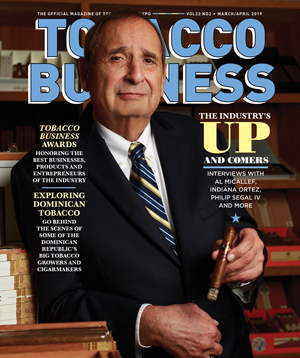 Drew Estate is a sponsor of this year’s Tobacco Plus Expo (TPE). Tobacco Business: You are once again sponsoring the experiential cigar lounge at TPE. 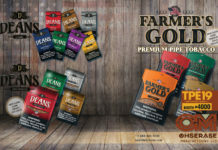 What can attendees expect from Drew Estate’s Barn Smoker that will be held on the trade show floor? An Phan: At this year’s TPE, we’re going to forever change the way attendees think about TPE by bringing our Barn Smoker event to the show floor. Barn Smoker is a multisensory experience that educates consumers about the story of American tobacco farming and the different cultivation processes that go into growing tobacco for their favorite brands. 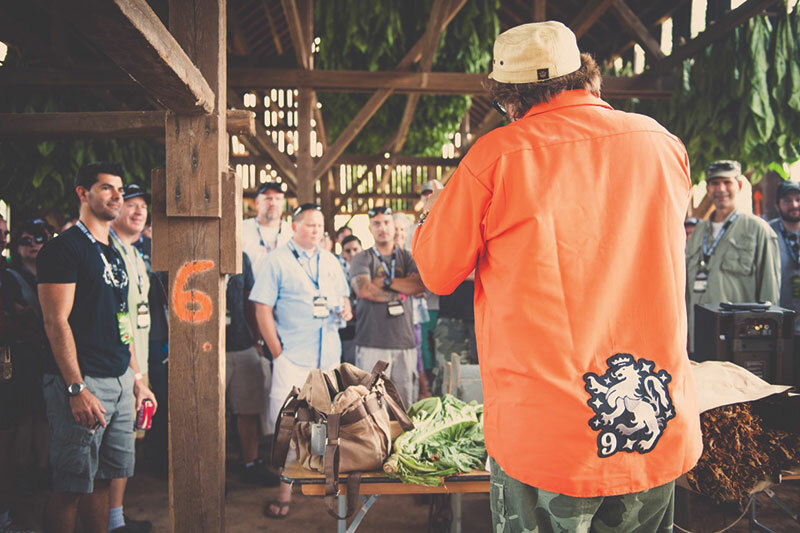 Barn Smoker attendees have a chance to meet and interact with some of their favorite Drew Estate personalities and learn more about cigars and our iconic brands. We’re basically bringing Nicaragua to the West Coast, creating the ultimate experiential event. We conduct five Barn Smokers at farms across America, each of which delivers a distinctly different experience. In Florida, we celebrate Florida Sun Grown and Jeff Borysiewicz’s resurrection of Florida tobacco, the first of its kind since 1977. In Pennsylvania, we delve into the heart of Pennsylvania and share the magic of Pennsylvania Broadleaf. 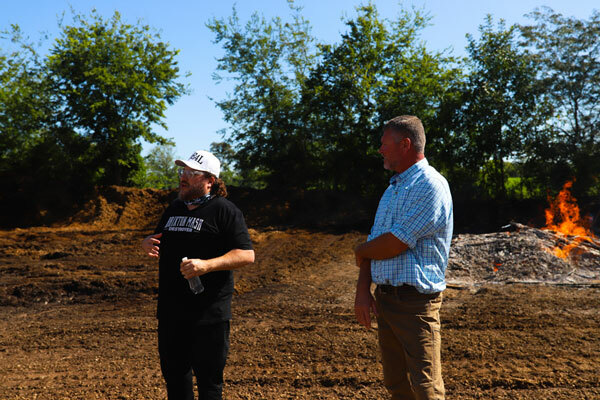 We journey to Connecticut where Liga Privada was born and walk through the fields where tobacco is stalk-cut. In Kentucky, cigar fans enjoy fire curing the tobacco. In Louisiana, we tour Mark Ryan’s farm, the home of the whiskey barrels that are used in Pappy Van Winkle Barrel Fermented. At TPE for the West Coast Barn Smoker, attendees will experience a vast cornucopia of American tobaccos from the diverse farms and their unique idiosyncrasies. In addition to this unique educational journey, people who visit will celebrate with great Drew Estate cigars, great music, and hang out with our great personalities. You’ve just relaunched the Herrera Esteli line and also are celebrating 20 years of Drew Estate’s Acid brand. What makes these two releases and product lines so important to the company? Acid, one of the largest brands of premium cigars, is celebrating its 20th anniversary this year. Acid remains a great disruptor in the premium cigar space through its unique blending tradition and its avant-garde iconic style. The ACID brand is the epitome of our mission statement, “The Rebirth of Cigars.” When we introduced it in 1999, very few premium cigar aficionados believed the brand would survive the next winter. Twenty years later, ACID has become the most important brand by far for bringing new adult smokers into the premium cigar sector. Herrera Esteli is important to all of us at Drew Estate because it is the brainchild and personal expression of our very own Willy Herrera, the first-ever master blender in the premium cigar industry. Having won numerous accolades over the past five years, we recently broadened and rebranded our product line through the introduction of Herrera Esteli Brazilian Maduro. Willy succeeded in his dream to express the unique texture, floral and earthy notes of the Brazilian Mata Fina. Our Herrera Esteli brand now encompasses Habano, Brazilian Maduro, Norteno, and the Miami which is made at El Titan de Bronze on Calle Ocho. Drew Estate has expanded its 4×32 Tin collection to include more of its portfolio of products. What makes this product special and a good fit for retailers of all sizes and backgrounds? There are four reasons why our 4×32 Tin collection is special and a very good fit for retailers. It cuts across a wide range of high-grade wrappers. Currently, we have 25 unique offerings of tins featuring maduro, shade and sun-grown wrappers. It’s also the perfect short smoke through which to enjoy our great brands. It’s sharply priced and delivers great value to retailers and their consumers. We offer super-premium, premium and value 4x32s along with mild, medium and full-strength profiles. And whether you’re a discount tobacco outlet, convenience store or premium cigar retailer, we have just the right merchandising solutions that will fit your footprint. Our wire racks fit on any countertop without taking up a large footprint, perfect to place right by the cash register. 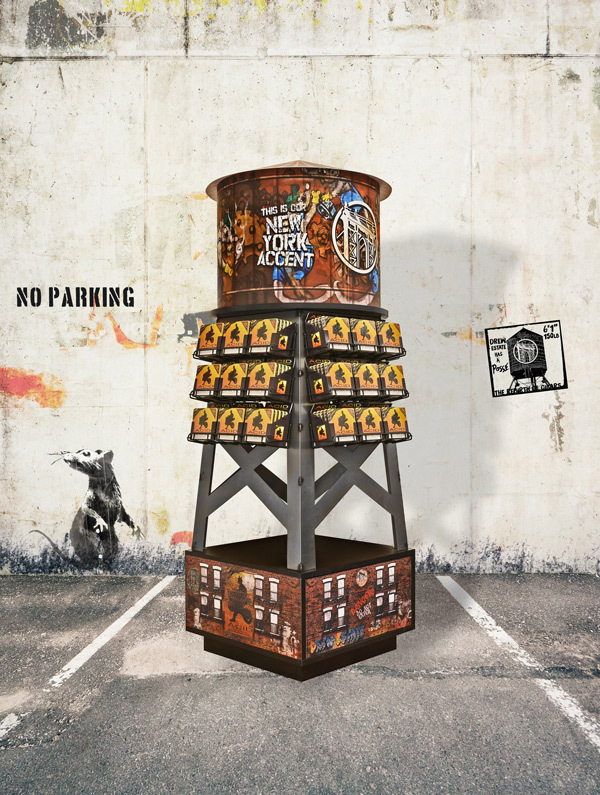 We have a full-sized water tower capable of storing 36 boats of 4×32 tins which merchandizes the tins with an iconic display. With our manhole cover, retailers will be able to merchandise both 4x32s and our new Drew Estate five-packs on the same display. Our 4x32s now come packed with Boveda, giving them a longer shelf life outside the humidor. 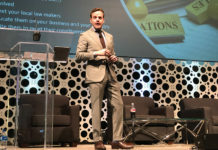 Drew Estate spends a tremendous amount of time, money and energy to unleash exciting brands and programs that capture the hearts and minds of retailers and their consumers. Our programs such as Drew Diplomat Retailer Program, Drew Estate Subculture Rewards, Drew Estate Lounge Program and the Tin Rebate Program are as strong as our brands. 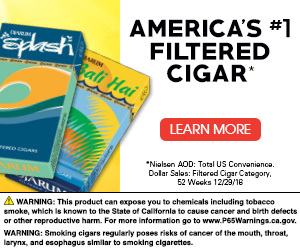 Our iconic world-class brands, such as Acid, Liga Privada, Undercrown, Tabak and Kentucky Fire Cured, are in high demand by cigar enthusiasts around the world. While our company continues to evolve to compete successfully in today’s marketplace we remain true to our mission, the Rebirth of Cigars. We celebrate our roots and continually nurture those things we do better than any other manufacturer in the industry: innovation, consumer engagement, owning the digital/social space and brand building. The evolution of our company, brands and programs is ongoing and constant. – Story by Antoine Reid, an editor and digital content director for Tobacco Business Magazine. You can follow him on Instagram @editor.reid.